Quick Guide on NDA Admission Exercise. I'd earlier answered some most asked questions on NDA in the post, “NDA: Answers to Students Questions on Nigerian Defence Academy Admission”. Seeing those answers can be the right place to start. So, I advise you read them and get back to continue reading this. And if you're here for the Nigerian Army University Biu (NAUB) - which is different from NDA, I suggest you click the link see if their form is currently on sales. There are practically 7 steps to gain a stress-free admission to this school. Knowing this from the beginning will help you to have a seamless application and processing experiences. Let’s go into these in detail. Generally, make sure you possess and meet up with all these conditions. If there’s deficiency in any, don’t bother to obtain their form. Be at least 17 years old and not more than 21 years old as at the month of August in the year of entry into the Academy. Note that candidates who desire to join the Nigerian Air Force must be between 17 and 18 years old at entry. Your birth certificate will be scanned and uploaded during the registration. Able to present a Certificate of State of Origin obtained from a Local Government Area or a Certificate of State Indigeneship from the Office of the State Governor. This will be scanned and uploaded during the online registration. You will need at least 5 credit passes in relevant O’level results. Minimum of 5 credit passes at SSCE or GCE 'O' Level (WAEC, NECO, NABTEB) obtained in not more than 2 sittings relevant to the Faculty of your choice. Credit in English Language and Mathematics are compulsory for all courses. You can also read their specific course SSCE requirements. You will need a PDF reader to open and read the page. There, you will also find their list of courses. Before now, do you need to choose NDA in UTME to obtain their form? No. It’s not compulsory but very advisable. Even where NDA says you can obtain their form if you don’t select them in UTME, consider at least, selecting them as your second choice. But now, they have updated (starting form 2019 admission) that, the university must be chosen as first choice if you must be serious to gain admission here. Choose NDA as your first choice. This is because year in year out, more students are competing for the few spaces available at the school. The management, under normal circumstances, will want to consider those who select them before those who don’t. And if you're not offered admission, there will still be time do a change of institutions to other schools. NDA has been consistent with 180 and above (cut off mark) for their applicants. Scoring higher marks in JAMB is an added advantage to you though. Yet, once you have any mark from 180, you’re qualified for their application and their entrance exams. Note that for this year admission, they draw different cut-off mark for different courses. Just like you have to register for post UTME exercise of any other schools out there, NDA is no exception. Differently, NDA doesn’t call theirs post UTME, it’s entrance exams registration. This form will, however, be on sales even before JAMB form is out and it will run till JAMB form is closed for UTME applicants. So, you have a very long time to decide whether you want to obtain the form or not. In other words, you don’t have to wait for when other schools are selling post UTME forms before you will buy their form. Please take note! Entrance exams usually scheduled for May yearly. But this date may change for any logistic reasons. You will have to print your exams schedule slip prior to the exams and take part. If you make it to this level, congratulations! After your name is released among these selected for the interview, you must get ready and take part in the physical checking of your credentials and oral interview. After this, will be the final list. You have been reading your way to Kadnua since you started reading this piece. This post is the best guide you can find on NDA admission. Strictly adhere to the advice on this page and regularly visit their website for updated information. 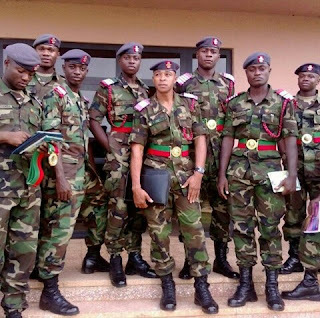 Read the post, “NDA: Answers to Students Questions on Nigerian Defence Academy Admission”. I might have covered your new question in that post. If however, you still have more concerns, kindly drop your question in the comment section below. IMPORTANT NOTE: Visit NDA admission application page to know if this year form is still on sales.